Energy & Power Generation - Pagnotta Engineering, Inc.
Pagnotta Engineering, Inc. is experienced in analysis of piping and pressure vessels for major US nuclear utilities. 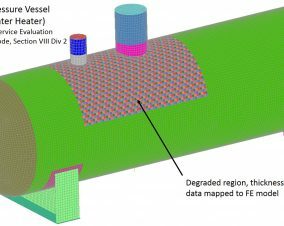 Projects supported include finite element stress and buckling stability analyses of restoration hardware, feedwater heaters, existing piping systems, and any other structural components that must be qualified. PEI has completed over 50 Fitness for Service Evaluations on ASME Section VIII Div 2 and Div 3 Pressure Vessels. PEI has analyzed various power and process piping systems using ASTM B31.1 and B31.3. Pagnotta Engineering, Inc. is experienced in the design and analysis of wind and ocean power components. 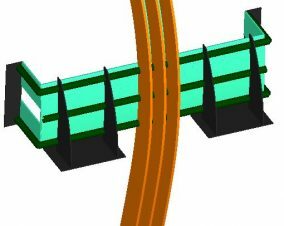 Projects supported include finite element stress, deflection, and dynamic analyses of testing fixtures and any other structural components that must be qualified. 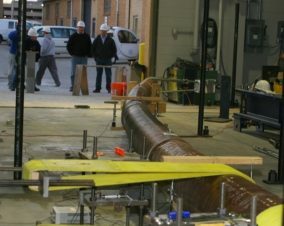 Pagnotta Engineering, Inc. is experienced in the design and analysis of composite utility poles. Projects supported include detailed design, finite element stress analysis, and testing support of various composite utility pole structures and any other structural components that must be qualified to meet NESC/ANSI requirements. 45 ft. Class 3 Composite Utility Pole for Utility Composites Solutions, Inc.